A comprehensive account of the famous Kildare Barracks which was central to life in Co. Kildare for almost a century, passing through the hands of the British Army and the Irish Free State, taking in two world wars, the Irish War of Independence, and the Irish Civil War. Fascinating personal histories of the gunners who served at the barracks which had a huge impact on the activity and development of the county during the twentieth century. 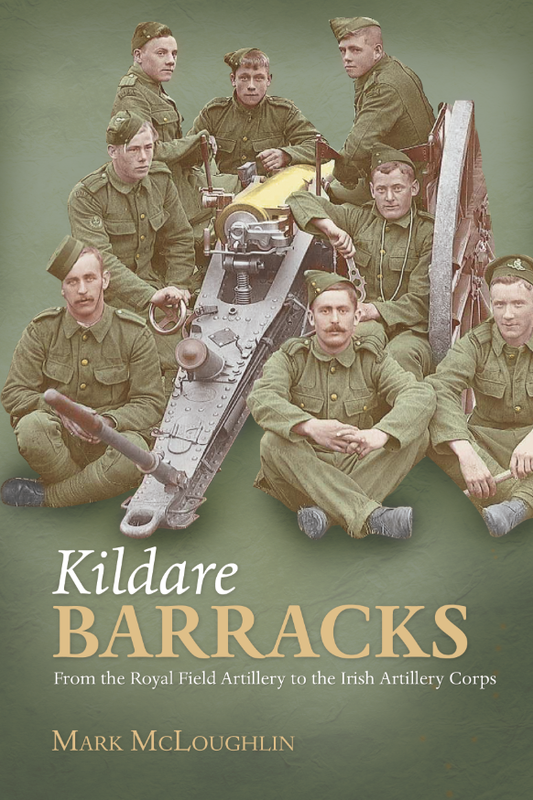 This charming history explores the life and experiences of the gunners stationed in Kildare Barracks while it was under both British and Irish military commands over the course of almost 100 years. Built in 1901 to train British artillery brigades for service in the Boer War, and closed in 1998, the barracks provides an exceptional spotlight for the local history of County Kildare and the military history of twentieth-century Ireland. Through numerous personal histories the book reflects upon the importance of the barracks in shaping the activity and development of the county. These tales – both informative and touching – provide a means of examining landmarks in Irish and international twentieth century history, including the Curragh Mutiny, the First World War, the Irish War of Independence, the Irish Civil War and the Emergency – while telling the story of a national military institution and the personnel who passed through. Mark McLoughlin lives in Kildare and is the Editor of The Curragh: A Lifetime of Memories, (1997) and The Curragh Revisited (2002). He is also the author of many articles on Kildare during the Civil War.